Christmas hams with Richard Gunner and Feast! Fine Foods - Adelaide Central Market: The City of Adelaide's premier food destination. Over 70 traders under one roof. Join Feast! Fine Foods owner Richard Gunner for a demonstration and tasting of all things Christmas Ham. 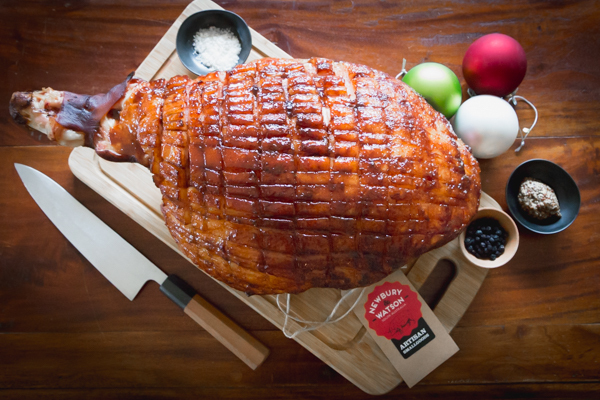 He’ll glaze one of their award-winning free range heritage breed hams and show off Richard’s exclusive ‘Signature’ Ham – The Old Fashioned.